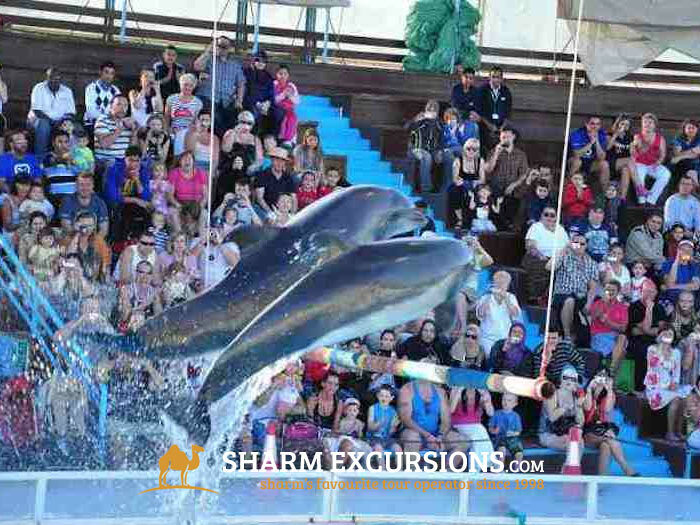 Watch a magnificent 1 hour dolphin show where these highly trained, ultra-intelligent animals will show off amazing tricks with their professional trainers. 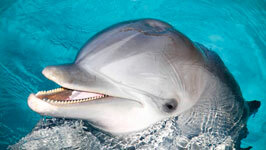 Dolphins are known for their high intellect and playful personality, but it's easy to forget quite how clever these amazing animals are until you see the kids on tricks they're capable of performing in return for a good fish or two! 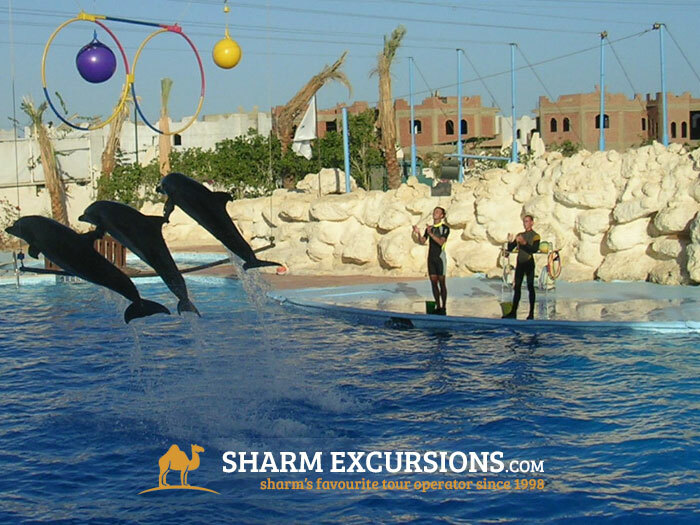 We'll drive you to Hadabet Om El-Sid from your hotel where these highly trained dolphins along with their professional trainers will put on a magnificent 1 hour show for you. 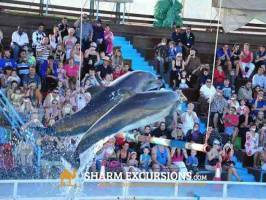 If you fancy it, for an additional ï¿½100 you'll be able to jump in the water too and have a swim with them on the day! This is a fantastic day out on your holiday to Sharm el Sheikh, especially for dolphin fans. 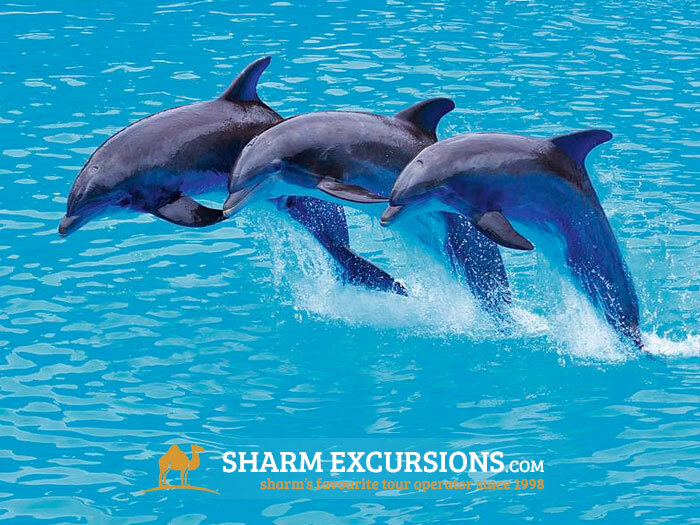 Sharm Excursions are a web-based tour operator, the savings we're able to achieve are passed straight on to our customers meaning our prices always up to 50% cheaper than tour operators prices. 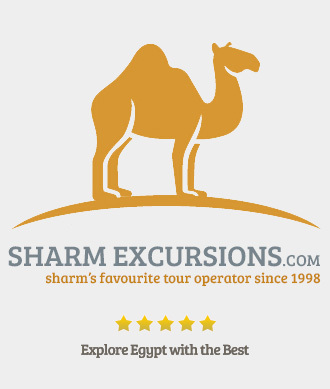 Our fantastic prices along with our unequaled level of customer service has helped us become Sharm's favourite tour operator. 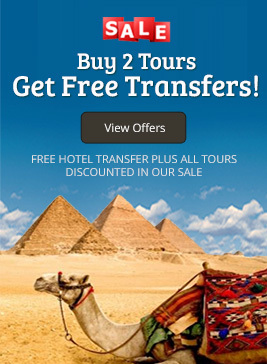 How do I receive my tour vouchers? 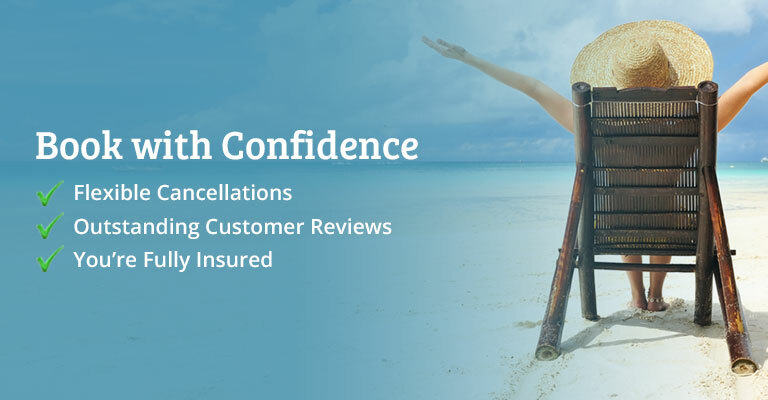 As soon as you book online you will recieve booking confirmation. Once our booking department has double-checked your order we will email you pickup times and for your trips. We recommend you print out and bring your confirmation with you to Sharm as a reminder of your itinerary. Do I need a Visa for this excursion? 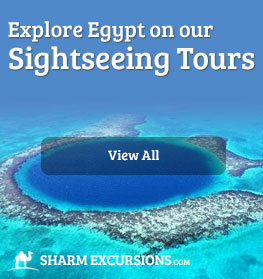 You need a Visa for the below tours, all other tours do not require a Visa. 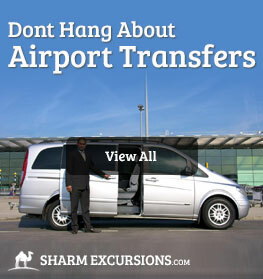 When you land in Sharm el Sheikh you will enter the Arrivals Hall, here you can buy a Visa for $10 (US Dollars). Please click to find out more about Visas. Do the tours include transfers from my Hotel? Yes, as part of our commitment to giving you a fantastic experience on every tour with us, all prices include transfers to and from your hotel. 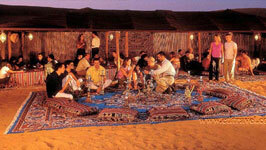 This service includes all hotels in Sharm el Sheikh. What if I want to change the day or date of a tour I have booked? Wherever possible, we are happy to change the details of your reservation for free. 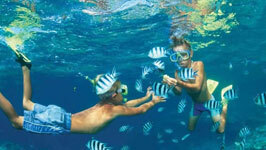 Children 0-4 years are free, 4 – 12 years old prices are stated on each excursion. 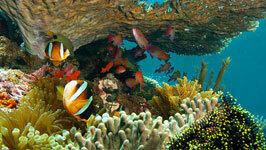 As with all our excursions, you will be picked-up from your hotel, and returned back to your hotel after the trip. 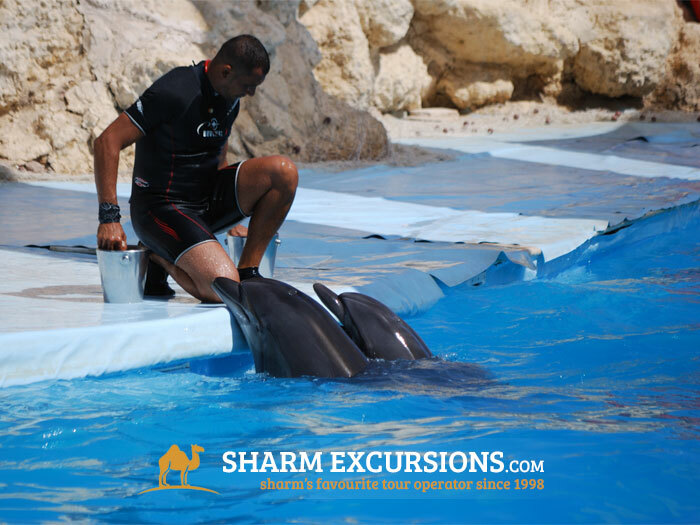 Once you've added all the excursions you're intereted in, either send us an enquiry or book online using our secure booking system. Booking is fast and very easy. On booking we will require a 10% deposit. This can be made using our secure PayPal payment system. If you do not have a PayPal account then don't worry, you can pay using other means if required. 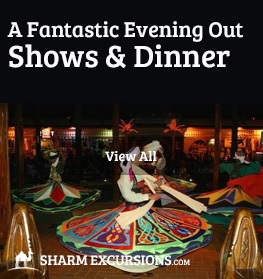 The remainder of the payment will be made in Sharm, when on an arranged date that is convenient for you a SharmExcursions.com representative will meet you at your hotel to collect payment and assist you with anything you may need. Why are we so well priced? 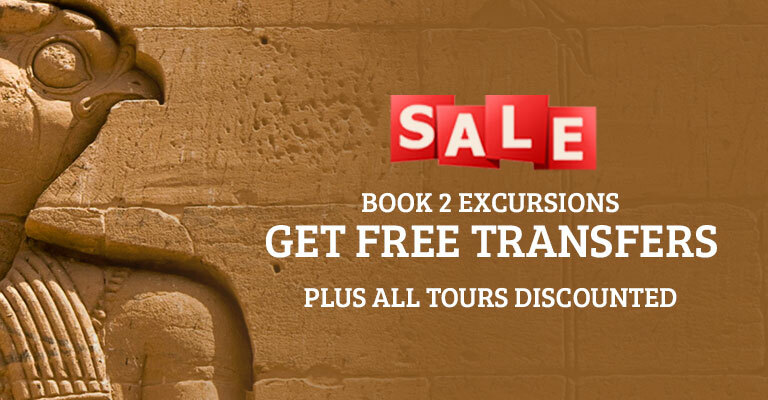 In order to give you the best possible prices, we calculate excursion costs daily based on the English - Egyptian exchange rate. 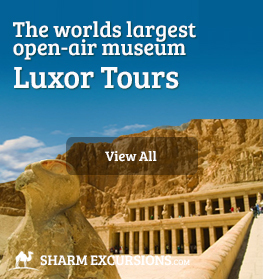 Why Not Upgrade Your Tour! 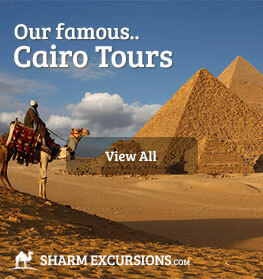 Similar Tours You May Like! 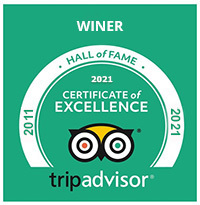 We've won TripAdvisor's Certificate of Excellence Every Year Since the Award Started! 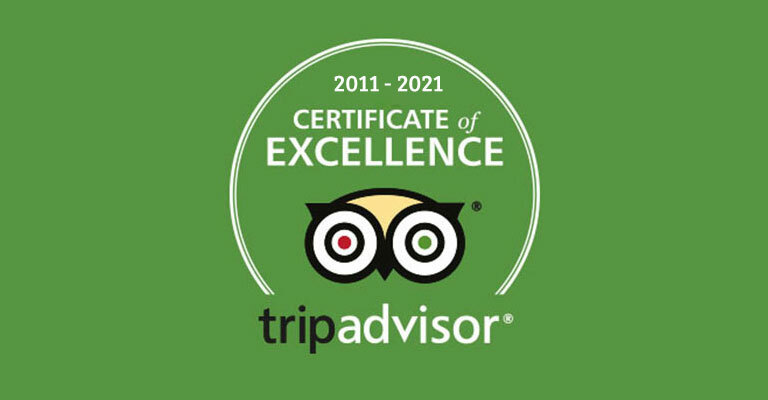 This prestigious award, which places SharmExcursions in the top-performing 10% of all businesses worldwide on TripAdvisor, is given to businesses that consistently earn high ratings from TripAdvisor travellers. 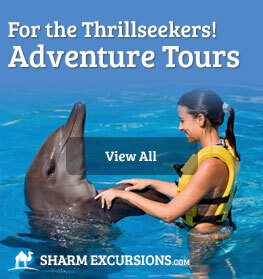 Great Staff We're passionate about making your holiday brilliant (for most it's a once in a lifetime trip). 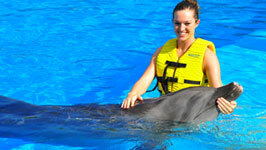 Our professional hand-picked tour guides are friendly, knowledgeable and speak English excellently.